Sweets & Snacks | Japaneze Jusu!!! ようこそ!!! Puccho is a Japanese sweet which I really like. It is fairly soft and it has small, round and chewy bits inside. I have already reviewed puccho on my blog so you can read it here! 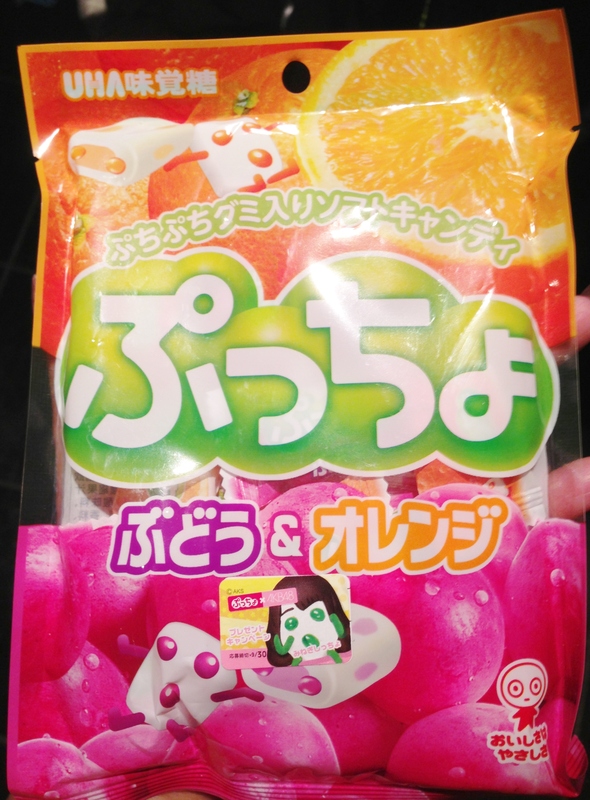 Puccho Review ぷっちょのレビュー The puccho in question contains a lot inside and also contains only grape and orange flavour; so this packet is great for the person who particularly likes both grape and orange puccho! As a matter of fact, I received these sweets from my friend Haruka!!!!!! I’ve mentioned her many times on my blog! Haha! Thank youuuu! Everyone, try some puccho! It’s good for the soul!!! Haha! Japan Centre is a big supermarket like type place in Piccadilly Circus in London. 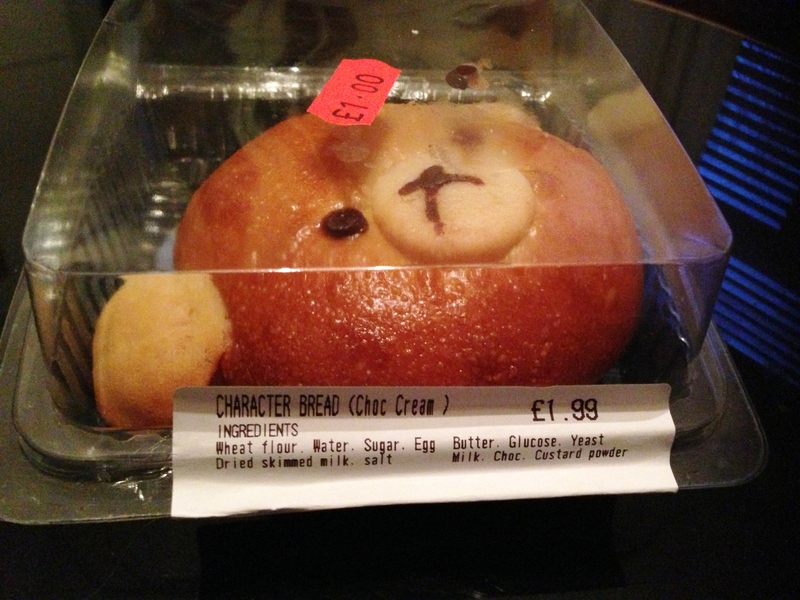 Here you can buy many cakes, sweets and bread including character bread. 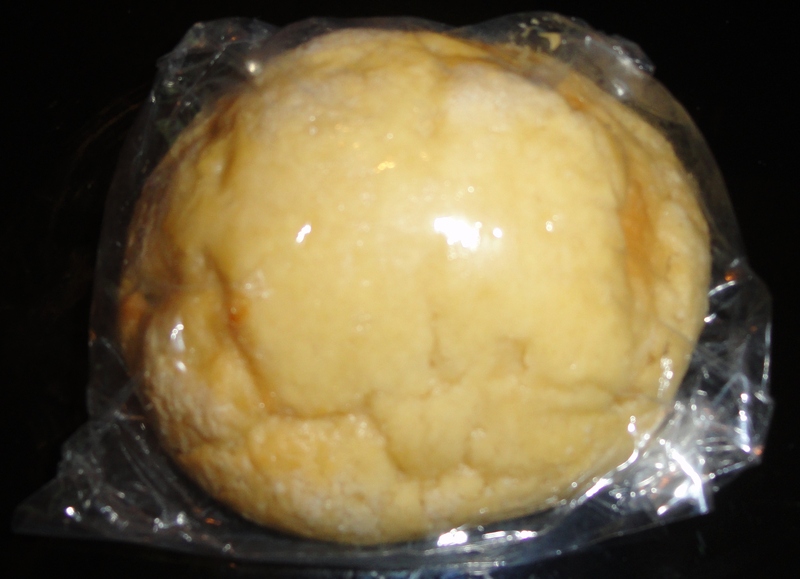 This is the bread that I bought when I went to the Japan Centre. 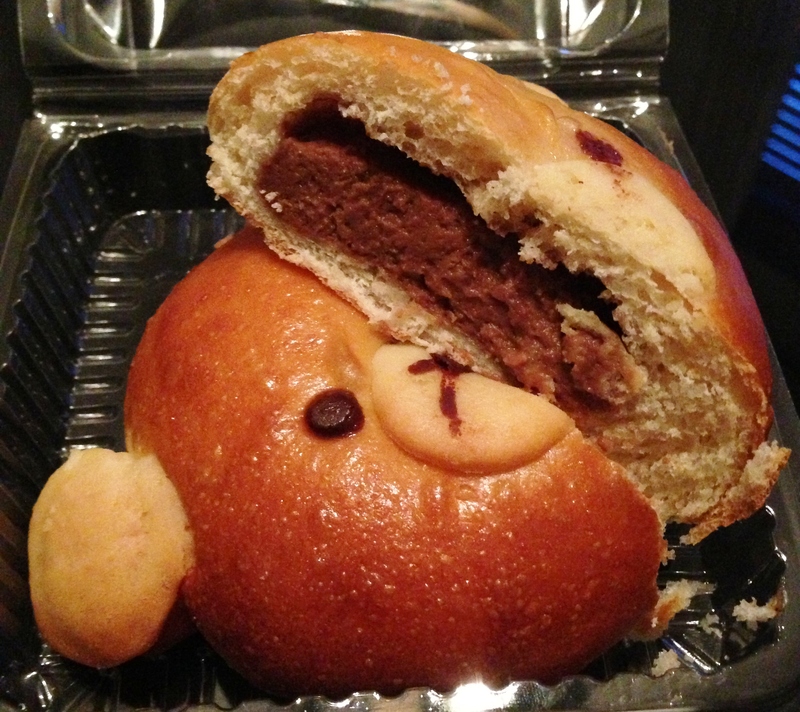 I bought it because it’s not only cute but it’s also filled with chocolate! Woooo! Long live chocolate! It’s filled with a chocolate cream mix and it really is nice. It got along very well with my soul! haha! It isn’t too sweet. The sweetness is just right. The price is normally £1.99, but around closing time all baked goods become half price so I bought this for £1! Wooo! Puccho is a Japanese sweet which I love! It is soft, sweet and delicious! 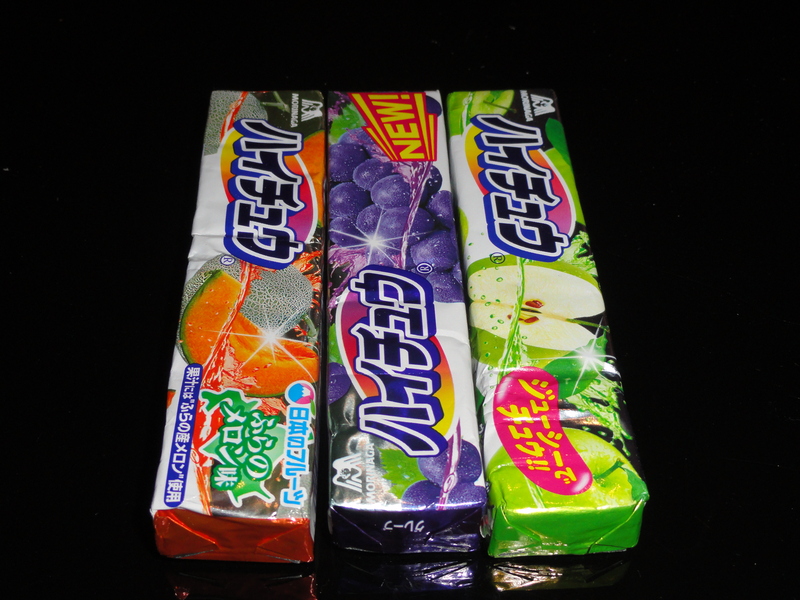 If you want to compare it with another Japanese sweet, then I guess you could compare it with Hi-chew. 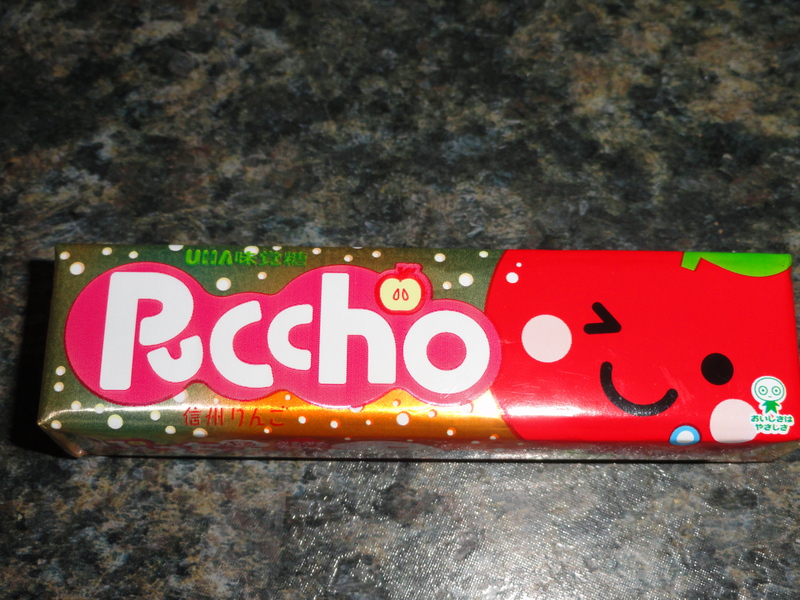 However, Puccho is different to Hi-chew. Hi-chew doesn’t contain anything inside the sweet itself but Puccho however, contains different gummy sweets inside and it depends on the flavour as to what is entered. 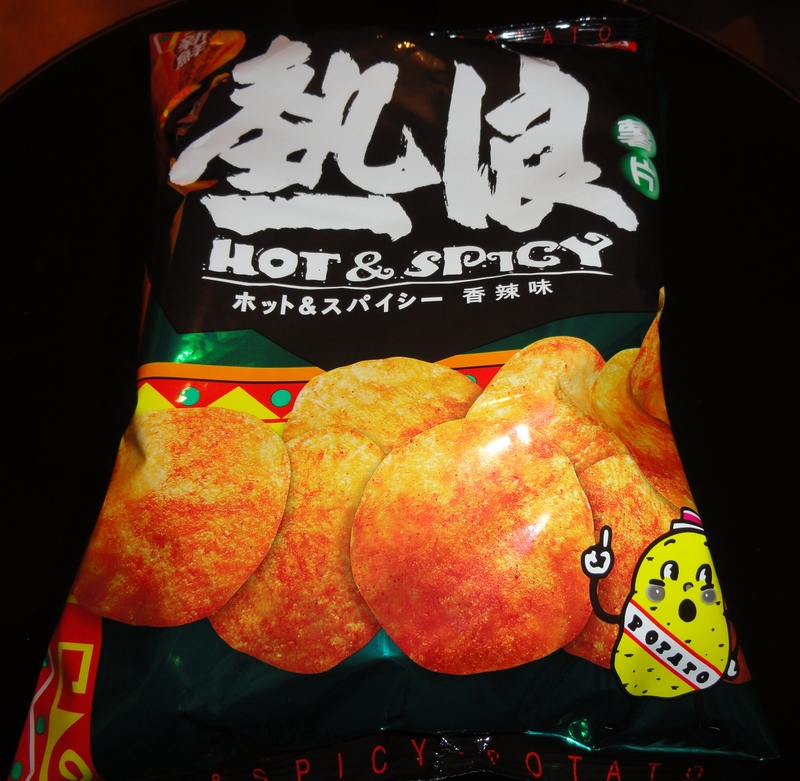 For example, this is apple flavour. 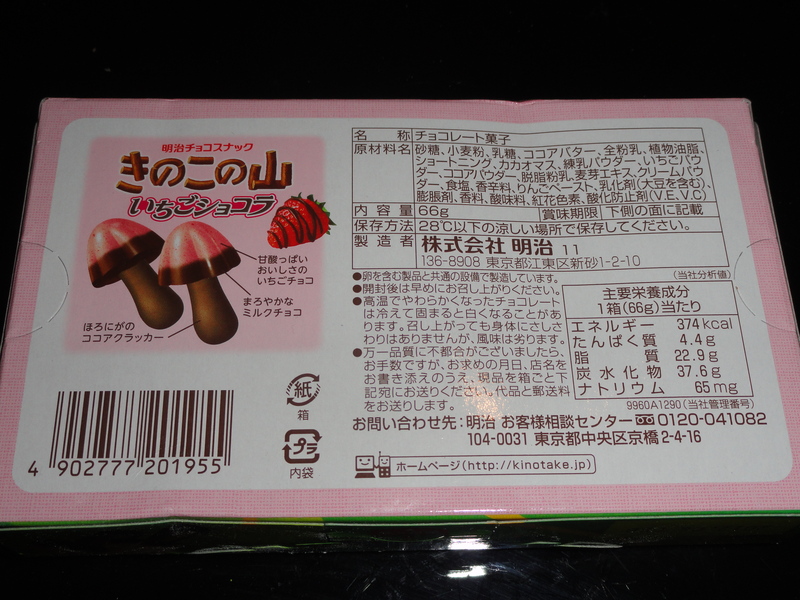 Inside are small, round and apple flavoured gummy-like sweets. I like the fact that such juicy and delicious gummy sweets are inside because the texture of the sweet then changes and it becomes really enjoyable to eat! Puccho is a very delicious sweet so if you want to try it then please do! Eat as much as you want! haha! Sweet time! As you know, I am in love with Japanese sweets! I am in love!!! That is why I am going to review this sweet! 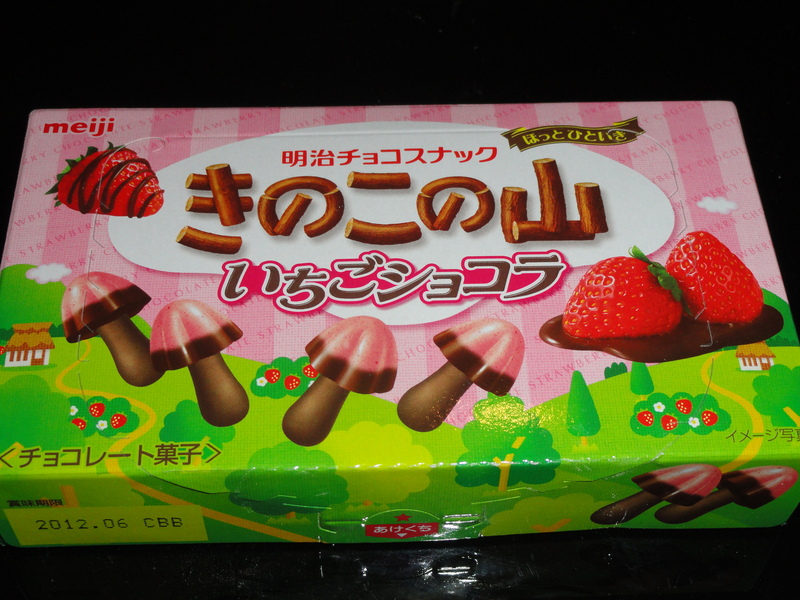 This is a sweet called “Sakusaku Panda (strawberry)” I wonder if I should call it a biscuit rather than a sweet…lol Anyway, you can also buy the original version but because I wanted to try the strawberry Sakusaku Panda, I bought that and ate it! lol. Basically, Sakusaku Panda is a biscuit. However, it is not an ordinary biscuit! 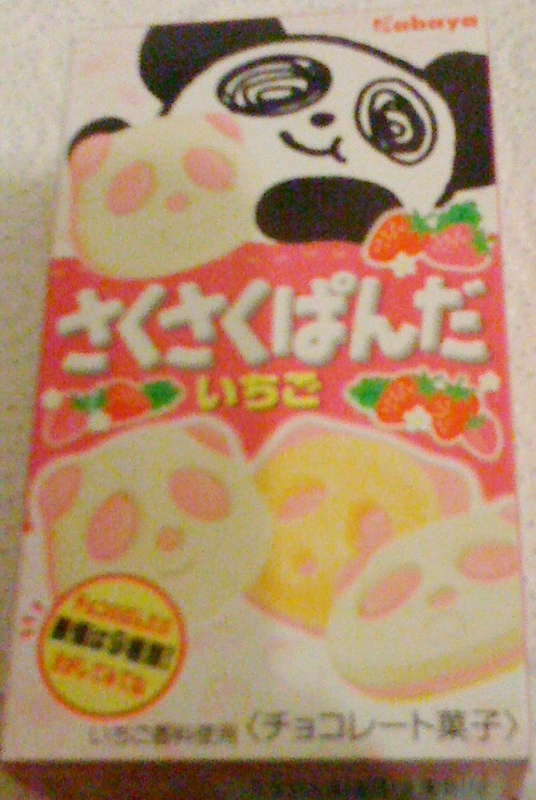 Vanilla and strawberry chocolate cover a panda biscuit! If you ask me, when I ate this, I thought that the vanilla chocolate tasted like coconut! However, if you like coconut, then I think the original version is much better because the coconut taste is a little more stronger! Anyway, this is not too sweet and it is delicious! If you get the chance, please try it!